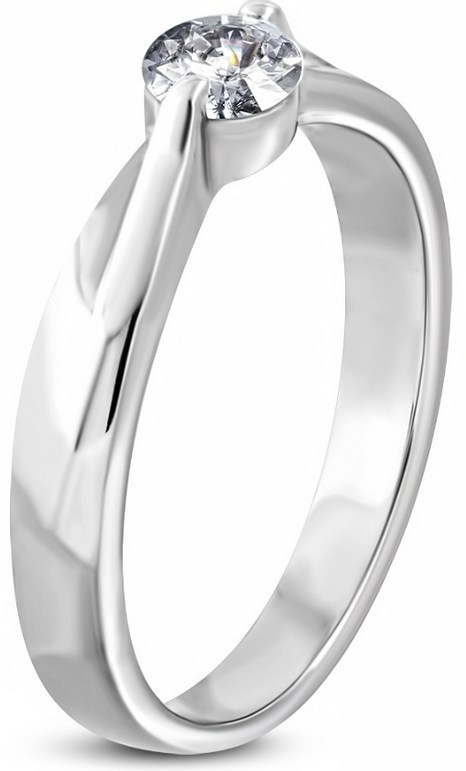 Sweet and simple compression set round clear CZ stone set in stainless steel. 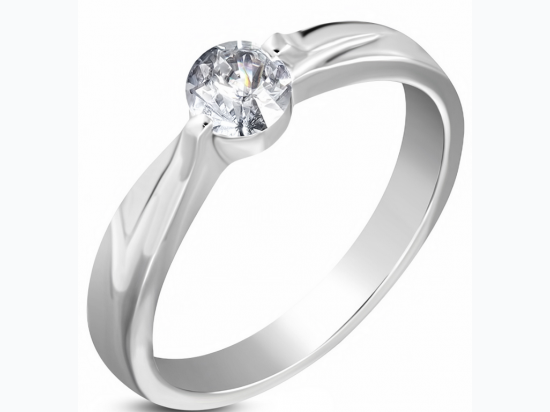 Durable, strong and resistant to tarnish. 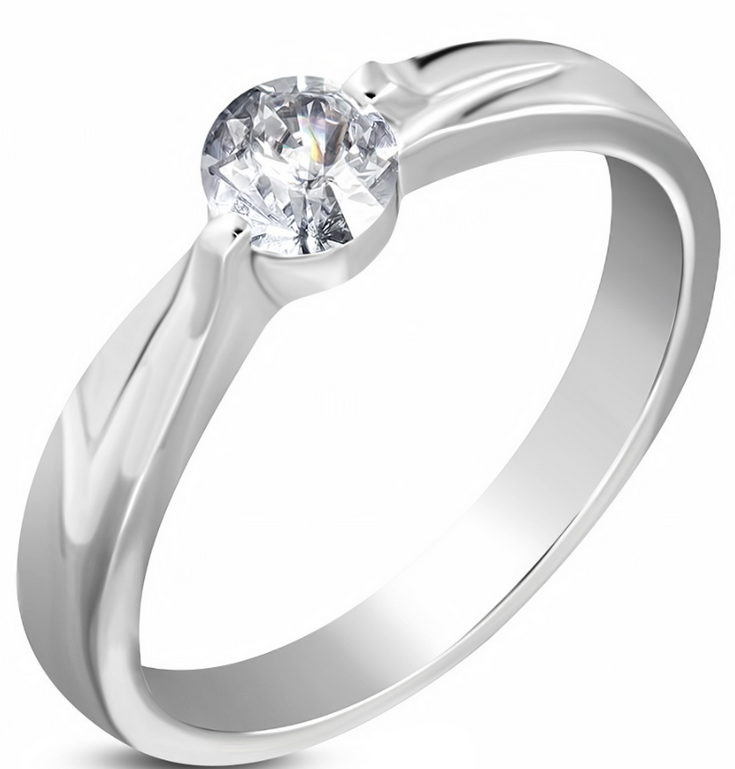 5mm | Stainless Steel Compression-Set Round Engagement Ring w/ Clear CZ.